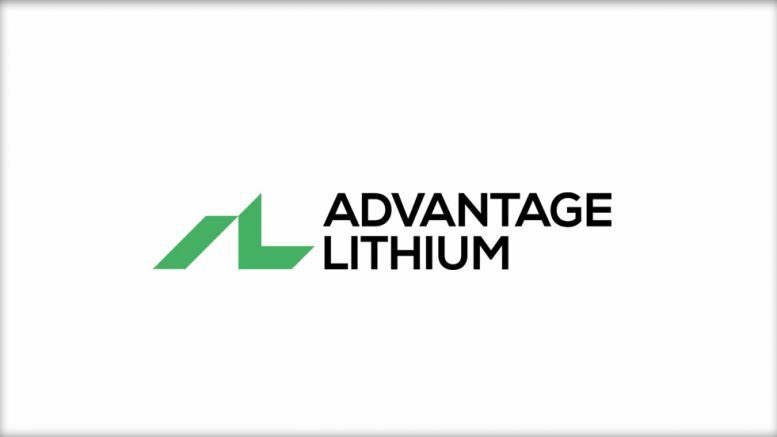 Advantage Lithium Corp. provided this update on the brine sampling results from diamond core hole CAU22 in the SE Sector of the Cauchari JV property located in Jujuy Province. Systematic brine sampling completed in CAU22 averaged 549 mg/l lithium and 3,630 mg/l potassium from 146.5-290.5 m depth, with samples not yet received below this depth. The brine shows a similar grade and very low average Mg/Li ratio of 2.4:1, similar to that demonstrated during pumping of CAU11 – excellent for conventional brine processing. These results from CAU22, together with recently acquired TEM electrical geophysics in this area, confirm the extension of brine mineralisation in the SE sector to the fault forming the eastern boundary of the Cauchari basin. The Phase III infill drilling is the resource conversion program that aims to convert Inferred to Measured and Indicated resources by early 2019, with drilling on track for this timing. Drilling of holes CAU25 and CAU26 will further define the eastern extent of the SE sector, with the aim of adding to the existing resource there. Drilling encountered interbedded units of clay, halite and sand in this area, a combination of lithologies which are known to be productive in other parts of the Cauchari-Olaroz basin. Pumping test equipment has been installed for the 30-day pump tests in CAU11 and CAU07, with pumping underway in CAU11. CAU22 is the first resource hole drilled along the eastern side of the SE Sector. The brine analyses confirm the high quality of the brine in this area averaging 549mg/l lithium and 3,630 mg/l potassium from 146.5-290.5m depth, with consistent results throughout the hole and a maximum value of 647 mg/l Li. A total of 8 primary brine samples were taken with a bailer device and the results of one duplicate sample confirms the value of the primary sample. Samples were taken at nominal systematic 12 m intervals, considered an appropriate sampling interval, given the relatively thick and consistent lithologies encountered. QA/QC results are awaited from the secondary laboratory. The brine samples have a very low average Mg/Li ratio of 2.4:1, similar to Advantage test production well CAU11. Results are similar to those of the adjacent Olaroz project of Orocobre and Lithium Americas Corp and Ganfeng in Cauchari. Similarity of brine characteristics across these properties confirms the Cauchari-Olaroz brine is very extensive and relatively homogeneous and very suitable for conventional processing. Drilling is continuing in the NW Sector, with drilling of hole CAU28 underway. This hole is located 2.5 km south of CAU24, which is the southern-most hole drilled in the NW Sector. The results of CAU24 are awaited from the laboratory. Holes CAU28 and CAU29 are planned with the aim of extending the brine resource further south, where high permeability sands and gravels are likely to exist relatively close to surface. Results will be released as they become available. Further drilling is underway in the SE Sector in Hole CAU19, which aims to define the continuation of the deep sand unit from previously drilled holes CAU11, CAU12 and CAU13. Preparations have been completed to carry out 30-day pumping tests on test production well CAU11 in the SE Sector and CAU07 in the NW Sector. All monitoring wells and equipment are installed. The first pumping test on CAU11 commenced on October 14 and will be followed immediately by CAU07. The tests will provide additional information on aquifer characteristics as an input to the three-dimensional groundwater model that is being developed to estimate lithium reserves and to develop a production schedule for the project. Be the first to comment on "Cauchari JV Project Update Continued Success in Phase III Program in the SE Sector"